Canada’s top one per cent of earners took home 10.6 per cent of all income in the country in 2011, while the top half of earners took home 83 per cent of all the money earned, new data from StatsCan shows. The statistical agency’s report on high-income earners noted there was no change, nationally, in the concentration of income from the previous year. Alberta and Newfoundland were the only provinces where high-income earners increased their share of income. The share going to the top one per cent fell in Nova Scotia, New Brunswick, Quebec, Ontario, Manitoba and British Columbia, StatsCan said. 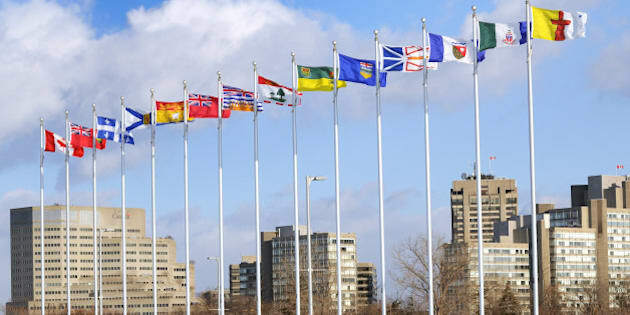 StatsCan’s data shows some large differences in the degree of income inequality between provinces, with the Maritime provinces registering the lowest concentrations of income among high earners, while the country’s economic powerhouses — Ontario, Alberta and British Columbia — registered the highest. The share of income going to the top one per cent in Alberta was nearly 17 per cent, compared to around 12 per cent in Ontario and around 5 per cent in the Maritime provinces. “Oil money seems to be a factor in tilting the scales in favour of high earners,” writes David Parkinson at the Globe and Mail’s Economy Lab. Prior to 2010, the share of income taken by Canada’s highest earners declined slightly for several years, but it is still far higher today than it was several decades ago. The phenomenon is not unique to Canada; most developed nations have seen an increase in the concentration of wealth at the top of the income ladder, with the U.S. leading the pack, over the past several decades. Observers have pointed to automation in many industries and the offshoring of jobs to cheap-labour countries as two explanations for the phenomenon. Others argue that tax codes have become more favourable to corporations and the wealthy, meaning less redistribution to low-income earners. Certainly tax codes have a major role to play. A recent analysis of income inequality data found that Canada is among the developed countries that do the least to reduce inequality through taxes and transfer payments. On a ranking of pre-tax, pre-transfer incomes, Canada ranked in the middle of the pack among developed nations when it came to inequality. But when countries were ranked according to after-tax-, after-transfer incomes, Canada ranked as the fourth-most unequal country, after the U.S., Israel and the U.K.